Rajat is Head of India and a Managing Director of Proprium Capital Partners, L.P. Prior to joining Proprium Capital Partners, Rajat was an Executive Director and Head of Acquisitions at India Real Estate Partners, an India focused real estate private equity fund, co-founded by former Managing Directors of Morgan Stanley Real Estate. 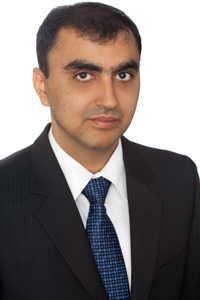 Prior to joining India Real Estate Partners, Rajat served as a Vice President in the Morgan Stanley Real Estate group. With a focus on investing in India, Rajat worked extensively on all aspects of private equity investment including sourcing, pricing, transaction structuring and execution of post-closing growth strategies covering investments in operating companies and at the entity level. He played a significant role in a number of investments and also served on the Board of various portfolio companies with an active involvement in strategic planning and decision making. Rajat was previously with ICICI Venture, one of India’s largest domestic Private Equity firms, where he worked on multiple investments covering buy-outs and minority stake investments across sectors.